system while the UK continues to sustain a third (although much smaller) party, the Liberal Democrats? Perhaps the most fundamental difference between the American and British political systems is the constitution – or the lack of one. The United States has a written constitution as does the vast majority of nation states. 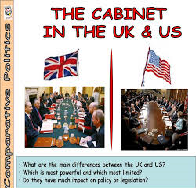 The UK does not have a single document called the constitution but instead its constitutional provisions are scattered over various Acts of Parliament.